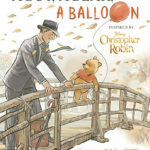 Editor’s note: this review contains several details about the plot of Christopher Robin. 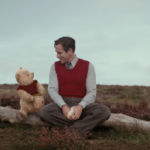 Christopher Robin, the newest release from Walt Disney Pictures is asking audiences to embrace a live-action Winnie the Pooh movie with the same warmth and love that the classic animated movies have elicited from fans for decades. Not only does Christopher Robin succeed on every level that past Winnie the Pooh movies have, it excels beyond the animated wonders of the past with this heartwarming coming of age tale. From the moment the titles roll, you know this is a Winnie the Pooh movie. We start off with the classic look that all Winnie the Pooh movies have with the pages of the story and small drawings of the characters and flash to the very real, young Christopher Robin in the Hundred Acre Wood with his friends, Pooh, Tigger, Eeyore, Kanga, Roo, Owl, and Piglet. They are all laughing and playing, innocent to the world outside the woods. A utopia amongst the trees, it is the closing po›rtion of book two in the book series, The House at Pooh Corner. Christopher Robin can’t stay with his friends and must go on to school. Leaving his pals behind, from the whimsy of childhood fun, we see the journey of this young boy, who could play and have fun, move beyond to the man he would become. From a repressive boarding school to the death of his father serving in World War II, Christopher Robin doesn’t have time to climb through the tree and frolic around in the Hundred Acre Wood with his friends. Societal confines and reality have taken over Christopher Robin. Ewan McGregor embodies the character of Christopher Robin. 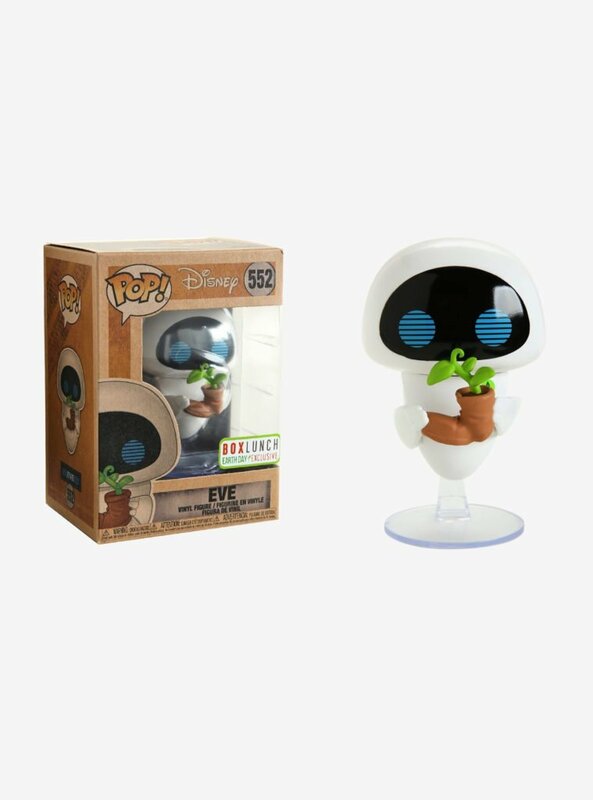 From his walk to the cadence in his voice and even the look in his eyes, it all brings the audience back to the animated boy from the classic films. McGregor becomes the adult version of the imaginative, fun-loving, caring, young boy who use to trollop around in the woods fighting off woozles and heffalumps. Unfortunately for the adult Christopher Robin, he has lost his fun-loving side and has multiple worries. His wife Evelyn and daughter Madeline take a back seat to his commitments at work where he spends long days worrying about how to efficiently run the company. McGregor effectively takes the audience on this journey from losing to regaining his childhood wonder. His family tries to find ways to “win” his attention, but he doesn’t seem to notice. The audience is left to wonder how Christopher Robin will find his way back to the Hundred Acre Wood. How can he recapture the spirit and joy that he possessed as a boy? 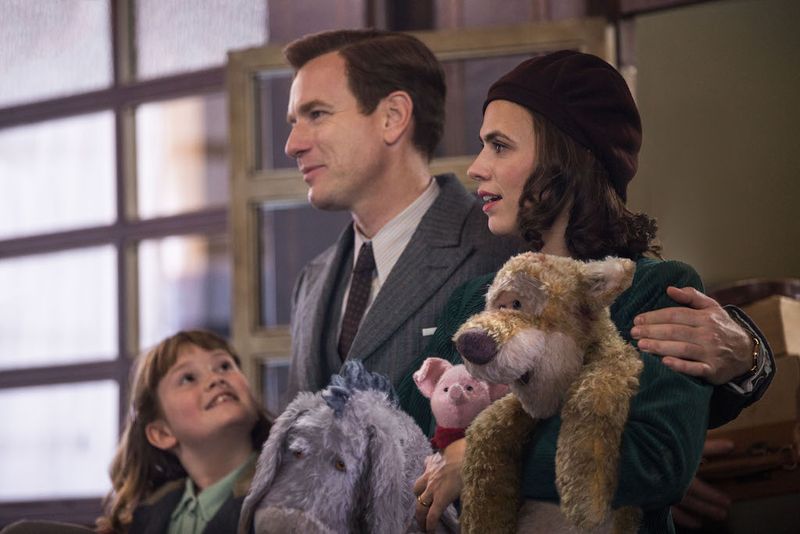 Hayley Atwell plays Christopher Robin’s wife Evelyn, a wonderful loving partner who has watched her husband be taken over by matters that are of no real importance. 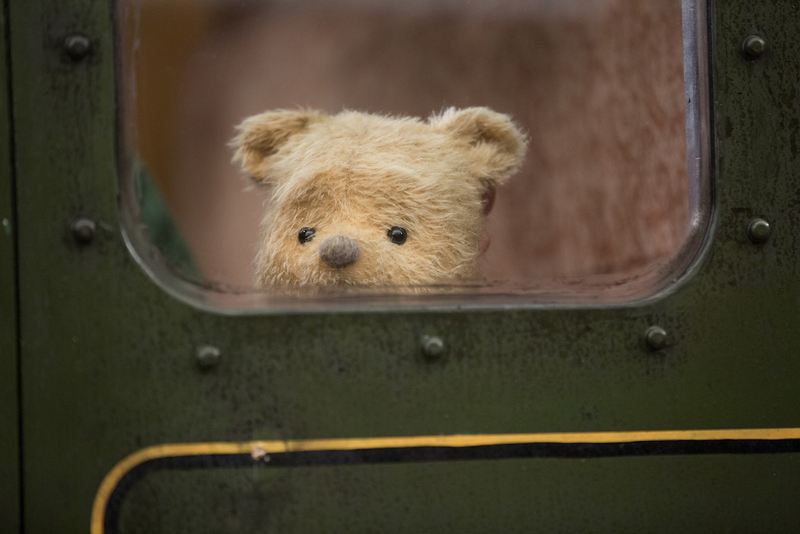 Atwell’s character from the first scene on the streetcar is to act as Christopher Robin’s anchor. What we see early on is that Evelyn has been that anchor trying to hold Robin in place for a long time and is losing her grip. The movie could have shown the marital discord in many ways between Christopher Robin and Evelyn but chose a restrained more powerful opportunity to demonstrate how much this relationship has broken down, becoming a loveless partnership. Rather than watching screaming matches between the two, we see how bad things are when Christopher comes home to announce he can’t get away for the weekend with Evelyn and Madeline. You can feel the tension between Christopher Robin and Evelyn in the kitchen through their conversation. But audiences will see how much the marriage is crumbling when Christopher offers to take his suitcase back up, only to realize that Evelyn never packed him one. This isn’t the first time Christopher has let his family down. This is a marriage that is faltering, maybe not to divorce, but the love that existed between Christopher and his family is fading. Now alone in London, Christopher spends the time trying to find efficiencies at a company, that will lead to people losing their job. This is post World War II London that is trying to find its way out of the gloom from war and build the prosperous nation that England is, but they like Christopher Robin need some help. Here comes Winnie the Pooh. Jim Cummings is a talent with his voice. His ability to bring grace, humility, humor, and wonder with just an inflection on a word, or a question mark at the end of his wonderings is what has made Winnie the Pooh a generational love that will continue for decades to come. 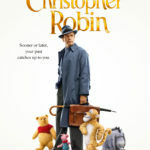 In Christopher Robin, Cummings is a tour de force with his performance of the silly old bear. From the moment he crosses through the tree to the end of the film, Pooh is the balance and the other half of what Christopher Robin needs. McGregor and Cummings are a perfect pair. Though Robin still has no time for games with Pooh, because he must work, Christopher Robin is not dismissive and ignorant to Pooh. Ewan McGregor walks a fine balance in his portrayal, because he needs to show the adult version of the boy and how he has moved on and let the world and life experiences mold his character. From the moment they meet on the bench in London, you can see the distant memory, that sparkle of fun that Christopher had with his beloved bear, and McGregor excels at this. To the Hundred Acre Wood they go to find Tigger and the rest of the gang that Pooh has lost. With nods to classic Pooh stories, the train station scene with the smoke billowing and the noise made me think of the Heffalump’s song. The journey to the Hundred Acre Wood is evidence of how different the two are. 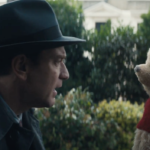 Pooh is a caring, loving, selfless personality, while McGregor’s Christopher Robin is terrified about his meeting and insists that Pooh can’t just go around saying hello to people. This period film has captured one of those problems of today, you can’t just go around saying hello to people. Most people don’t, and you must wonder like I did as Pooh took in this statement from his friend, why not? Back in his old stomping grounds, Christopher Robin journeys into a Hundred Acre Wood quietly avoiding his family. This is another small way of showing us how distant Christopher Robin is from his family. Here he is in the backyard of where his wife and child are and he doesn’t want them to know he is there. The woods that Christopher Robin walks into look abandoned and foggy. This imagery plays well with the fact that many years have passed since fun was had in these woods, and the joy that permeated through the trees has fogged over – almost like going into a room that has been sealed up for years. Everything is the way you left it, but it’s dark and filled with dust and cobwebs. Christopher Robin can’t go into the Hundred Acre Wood without having fun and the adventure he has brings him back to the joy he felt as a boy. McGregor’s transformation of the working stiff who has no time for family, to joyful soul is gradual until he defends and wins back the trust of his friends. Christopher Robin faces a moment in the film where he must battle with the adult that he has become and the child who is just beneath the surface. As he seeks to find balance in his life, his friends finally recognize Christopher Robin as the loving boy they always knew. The Hundred Acre Wood finally sees a change from foggy woods to bright sunny days, thanks to the change in Christopher Robin. 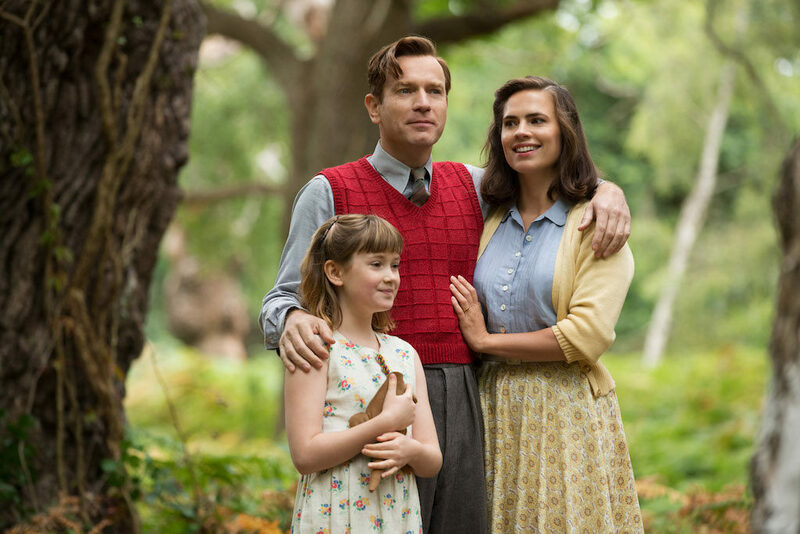 Waking up from his slumber in the woods Christopher Robin feels the pressures of adulthood and takes off for his meeting in London, leaving his friends behind to partner with his daughter Madeline to bring his very important papers which he forgot. While the end of the story is standard stuff that happens in similar movies – child rushes off to help her disconnected dad, her dad leaves important meeting to find lost daughter, it looks like dad might lose his job – you don’t care or notice these standard plot points because you are so heavily invested in the characters. 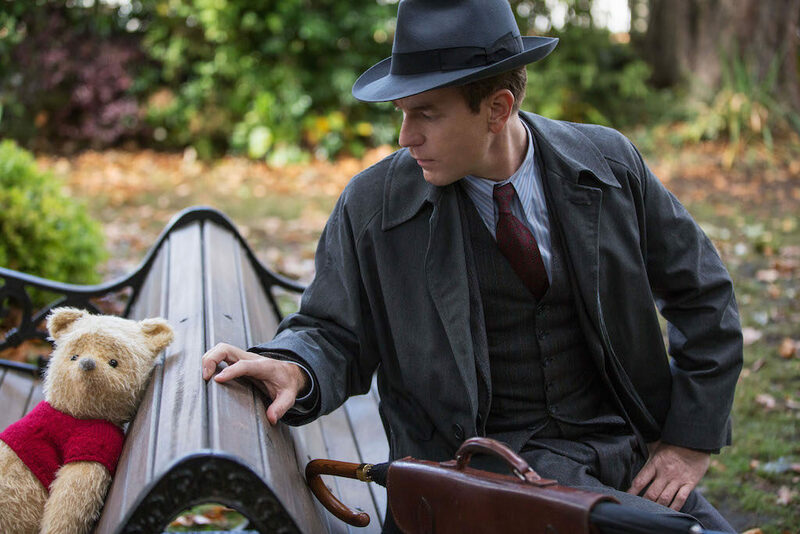 What will finally happen to Christopher Robin? Will he forget again about his friends and the fun he had? Hopefully not, because no one should ever forget who they are just to conform to what the world thinks they should be. Director Marc Forster had many opportunities where he could have played on audiences’ heart strings. Thankfully he didn’t, rather than eliciting tears from the audience forcefully, Forster was restrained and allowed the story to play out, enabling audiences to connect with the themes of the movie on their own terms. As a father of two kids myself, Christopher Robin is the reminder to me that I should never become too detached from what is important. Have fun, remember the people who are around you, and while worries and pressures of everyday life are great and can be uncontrollable sometimes, we should not let these pressures and worries control our life all the time. Sometimes we need to just sit on a hill with a pot of honey and play with our friends. It’s time to remember today and to stop spending our time worrying about tomorrow. I give Christopher Robin 5 gargantuan size jars of honey out of 5.